Once you have your content dialed in, this TRANSFORMATIONAL program takes you through the key processes, tactics and strategies to build your THOUGHTPRENEUR PLATFORM. This is all about REACH and DELIVERING your WISDOM, KNOWLEDGE & EXPERTISE in a way that commands premium dollars. This is the key to becoming an INFLUENCER, being distinct and a highly-sought MICRO-CELEBRITY. The program is a 4-module immersive training that will walk you through my PLATFORM PROGRESSION FRAMEWORK that literally gives you the specifc tactics, tools and templates to use to attract qualified leads through effective use of Facebook Ads. From there we build a custom pathway to move the lead to deeper relationship and ultimately INVESTING on your PROGRAMS. To sign up, use the checkout link in the right column of this page. We’ll see you in the Private Portal! 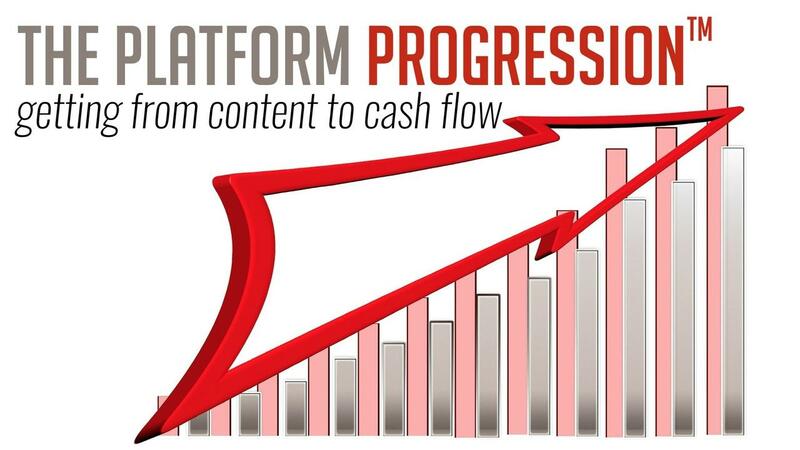 The Platform Progression is our my training around the exact system that I use to go from "content to cash flow"! 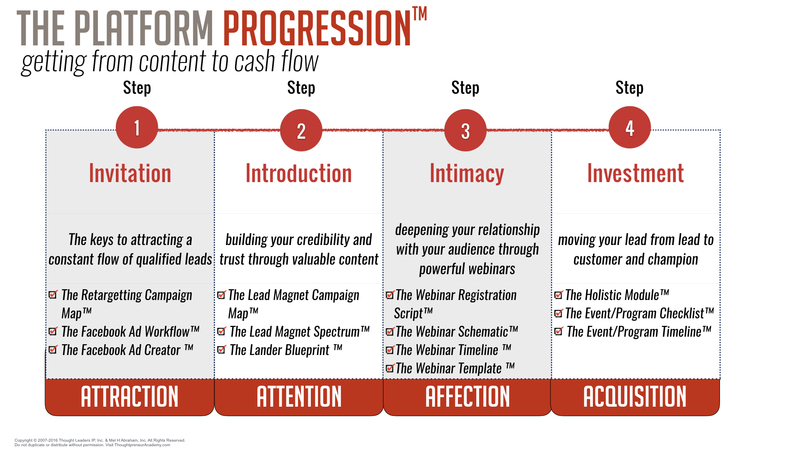 In this four-module training, I walk them through the four phases of progression - Invite, Introduction, Intimacy and Investment. Not only do they get the training but I literally give them the exact templates for my ads, lead magnets, funnel, landing pages and webinars. We also include access to our private FB group.